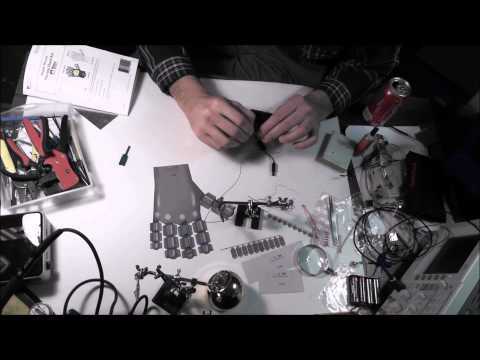 Muscle Wire Moving Hand Kit - Awesome Way To Teach Kids Electronics! Safe and easy way to teach your kids a little bit about mechanics & electronics. Looking for robotic toys? Well the Muscle Wire Moving Hand Kit will not disappoint. The idea behind the kit is that it lets your kids build a robotic hand that actually moves and can wave back at you! All of the fingers contain a wire called the “Muscle Wire” and each once is plugged into a light-emitting diode (LED), which lights up when power is detected. As the wire gets hotter, the fingers start to bend. Very cool! The neat thing about the kit is that you don’t need any experience in robotics, mechanics or electronics. The kit has everything your kids need to get started, except for a basic soldering kit and hand tools. Looking For Something Other Than This Muscle Wire Moving Hand Kit?